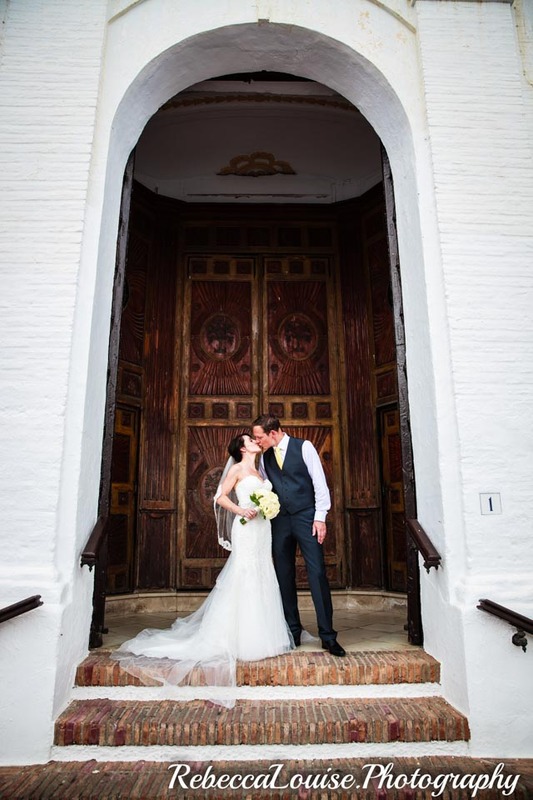 Jenny and Dean celebrated their special day at our stunning Casa De los Bates Venue, surrounded by their family and Friends. 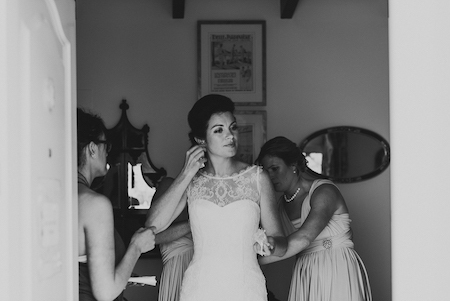 Katie and Adam shared their special day with Family and Friends. 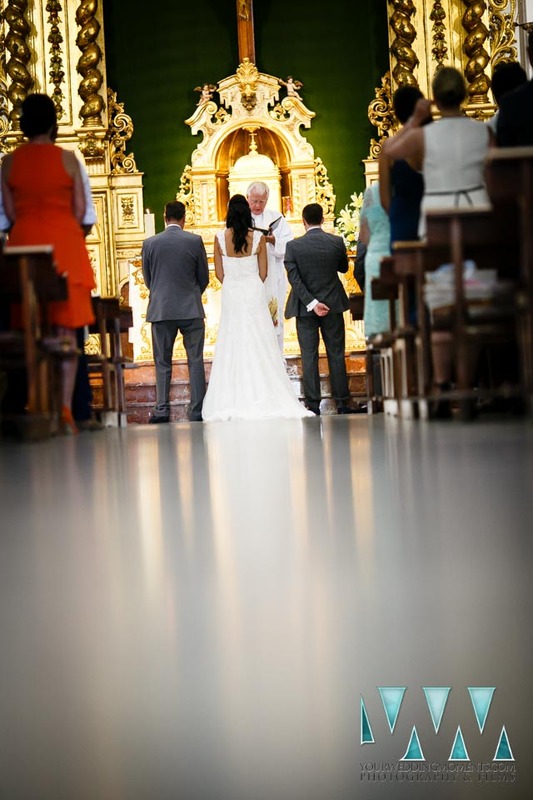 Their ceremony was at the beautiful Church of San Antonio. 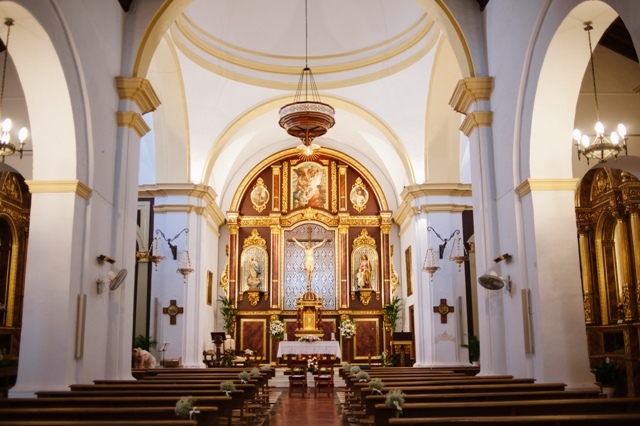 A lovely church set in a typical Spanish village with a beautiful gold interior. 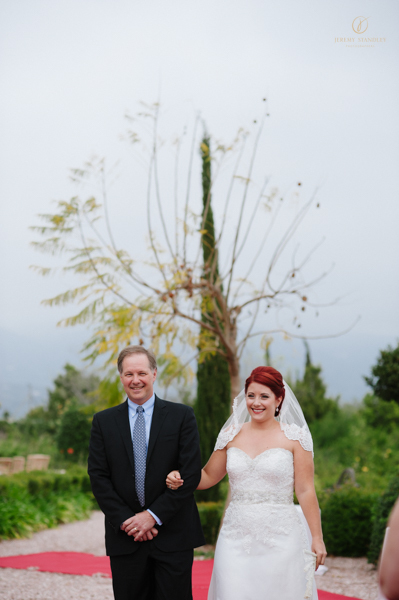 They then went onto one of our lovely venues Hotel Cortijo Bravo. 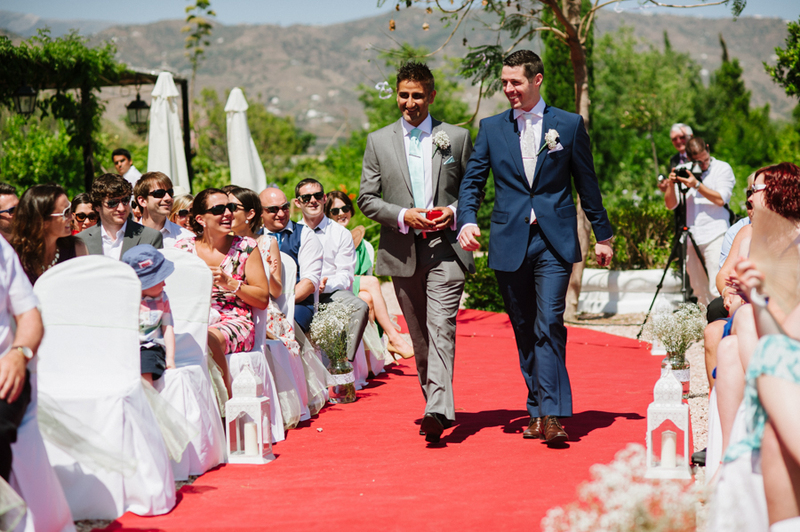 With the Spanish sun shining day it was a perfect day for Kelly and Gavin to get married. 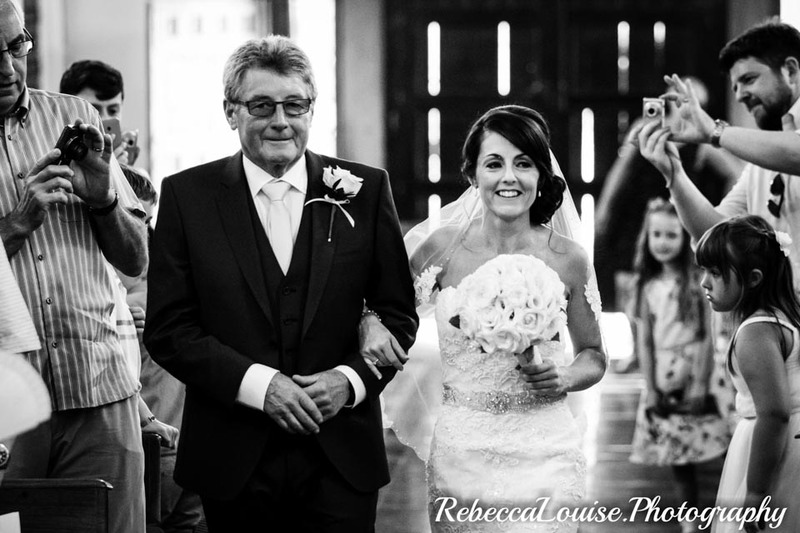 Surrounded by their family and friends it was truly a beautiful day filled with many lovely memories. Casa de los Bates is where Kelly and Gavin had their special. 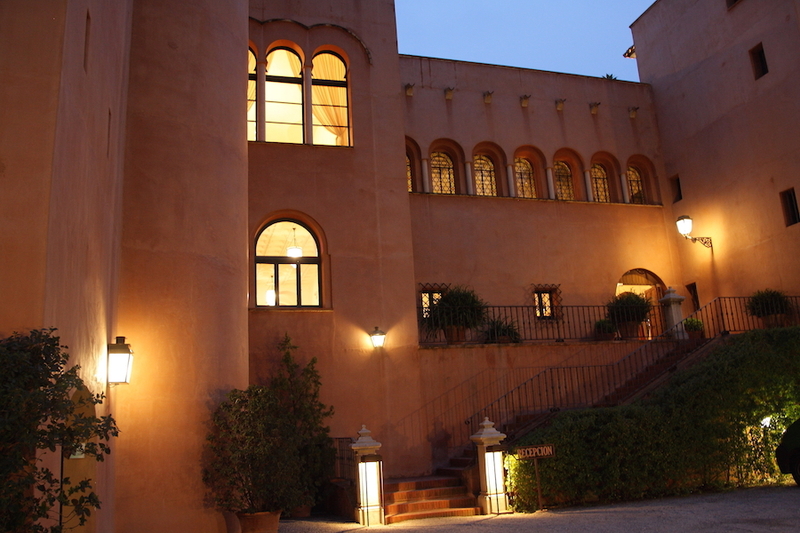 It is a beautiful 18th century mansion with is now a luxury hotel. 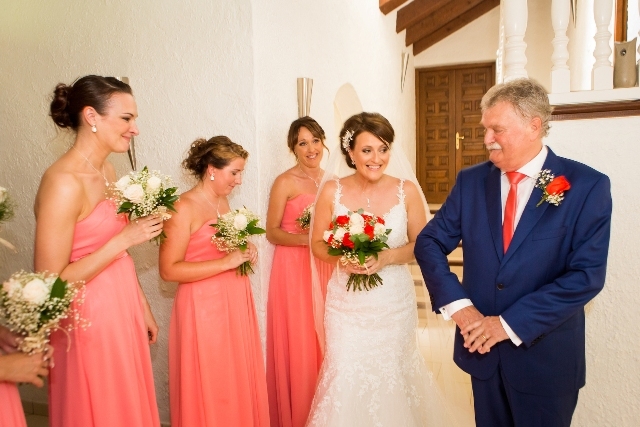 Lyndsie and Philip got married at our Beautiful Venues, Hotel Cortijo Bravo. 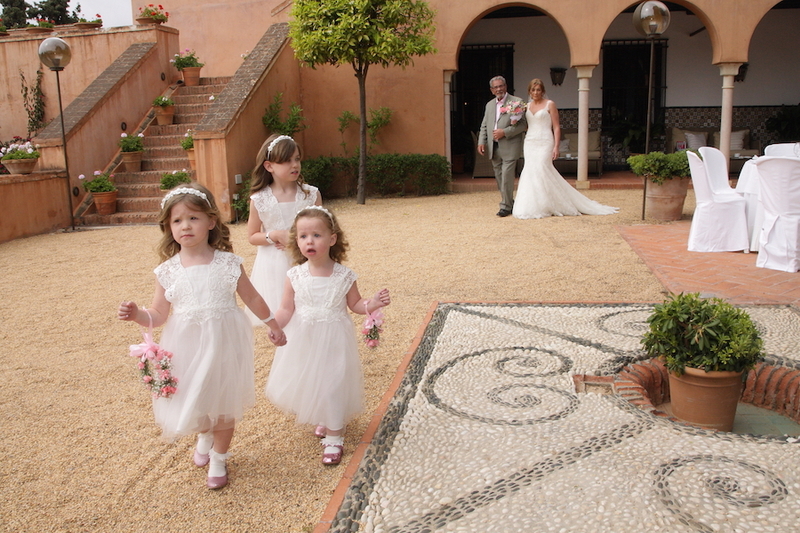 They shared their day with their close family and friends, it was a lovely day with many happy memories. 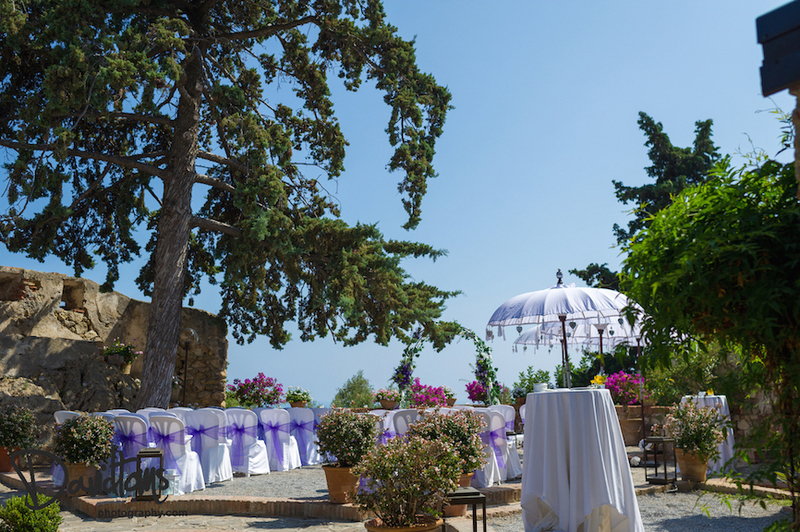 Hotel Cortijo Bravo is set in a stunning location, surrounded by breathtaking views of the white Spanish villages and the Spanish mountains. 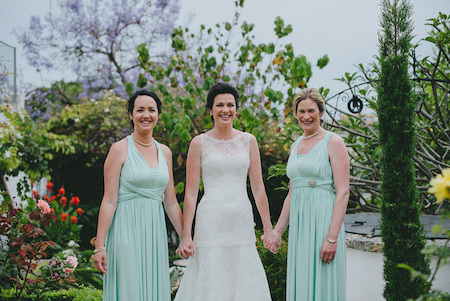 Helen and Ronan shared their special day with Family and Friends with the Spanish sun shining down. 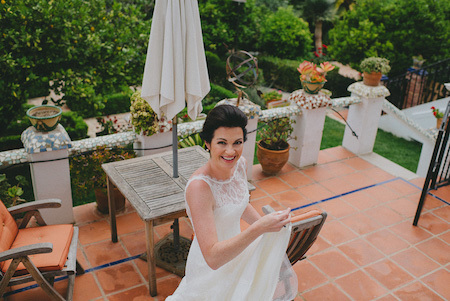 Hotel Cortijo Bravo was where they chose to have their wedding, taking in the amazing views, beautiful location and just a perfect venue to share their special day with everyone. 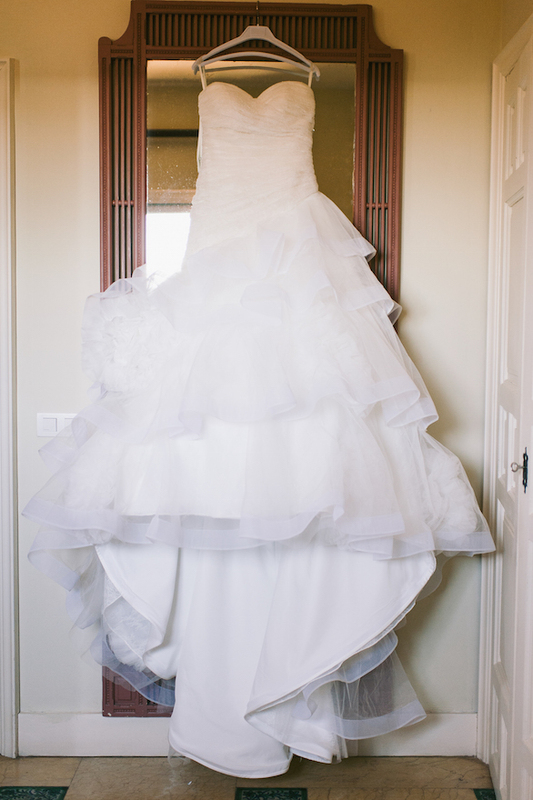 Breathable bags - I would also recommend to buy one of these - I would say all bridal shops will sale them. 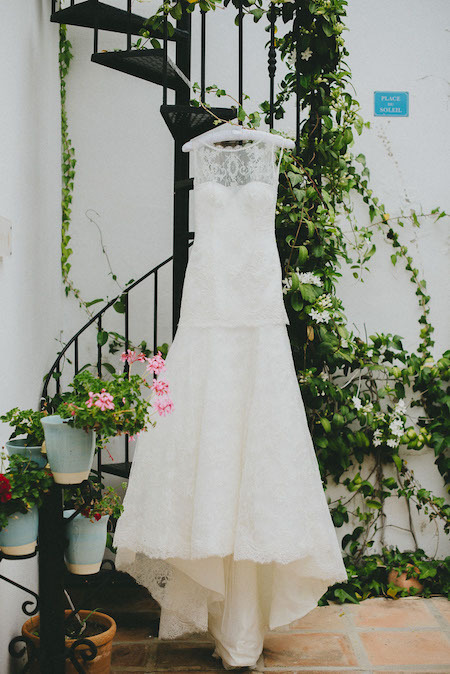 These bags will protect your dress from everything. 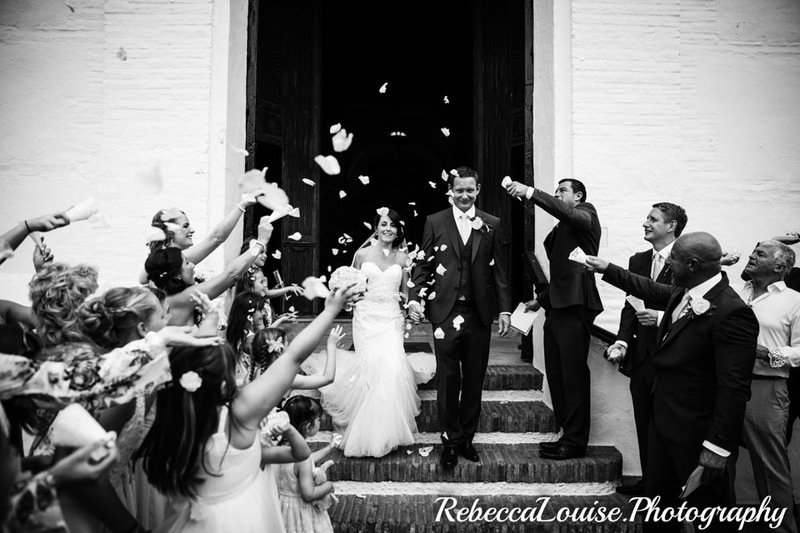 Hayley and Liam celebrated their wedding ceremony at a beautiful Spanish Church - San Antonio De Padua. 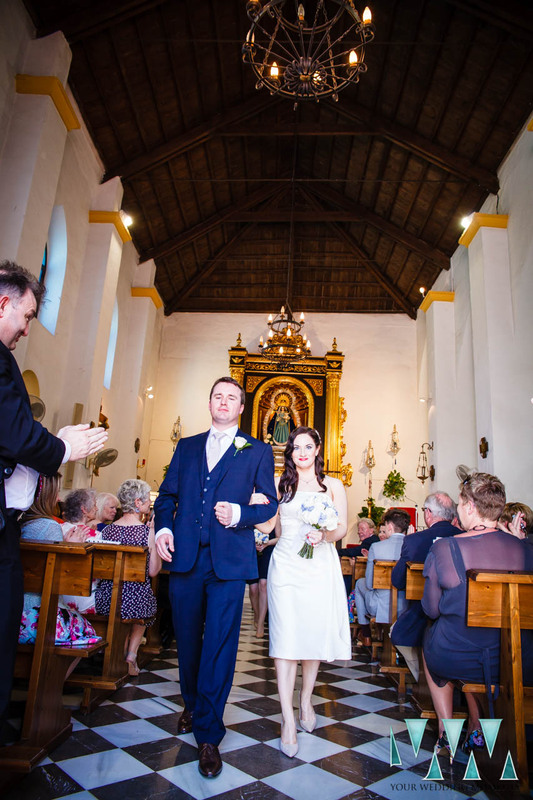 A stunning church with amazing decor inside and out and set in a typical spanish village. 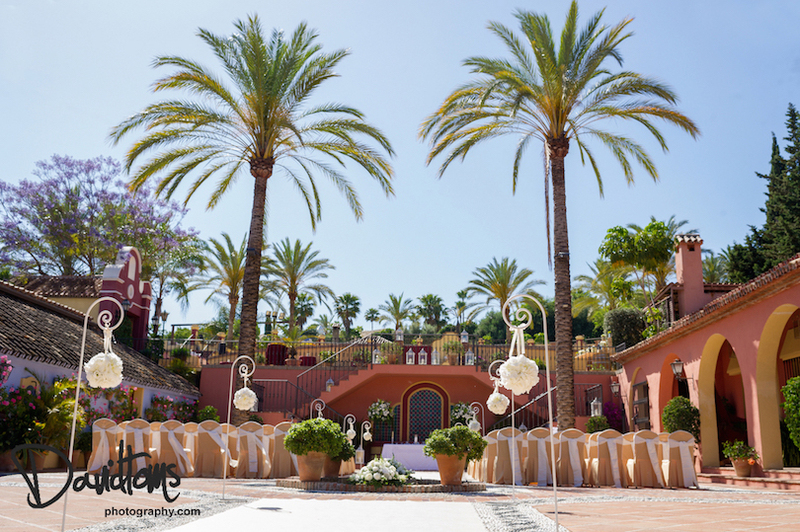 They then went onto one of our stunning venues in Nerja to have their wedding reception - Cortijo Maria Luisa. 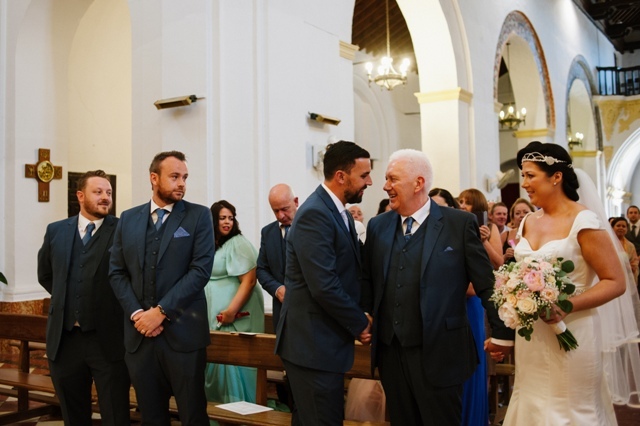 Charlene and Gary shared their wedding day with their loved ones. 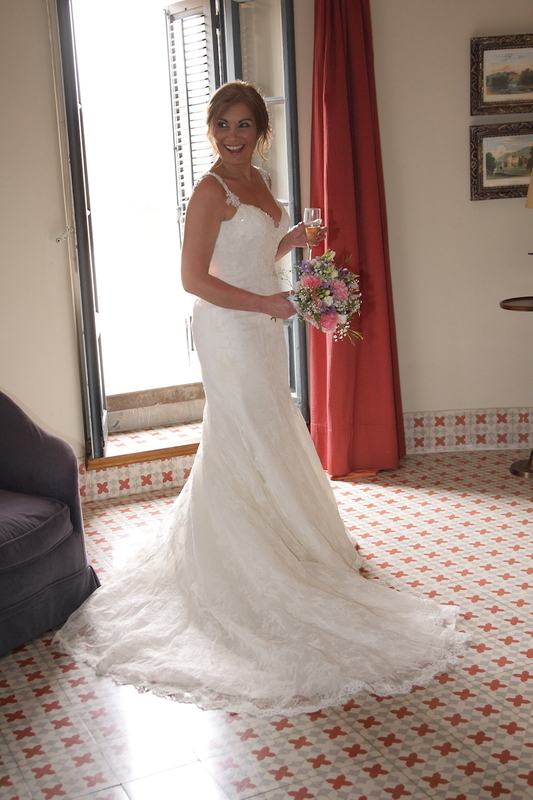 It was truly a beautiful day with many happy memories. 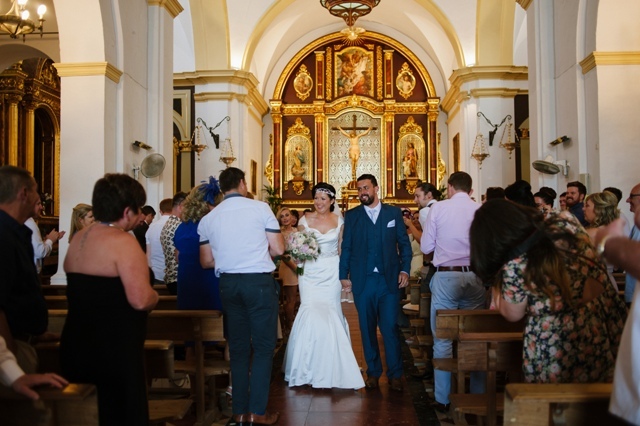 They had they Wedding at the beautiful El Salvador Church, Nerja. 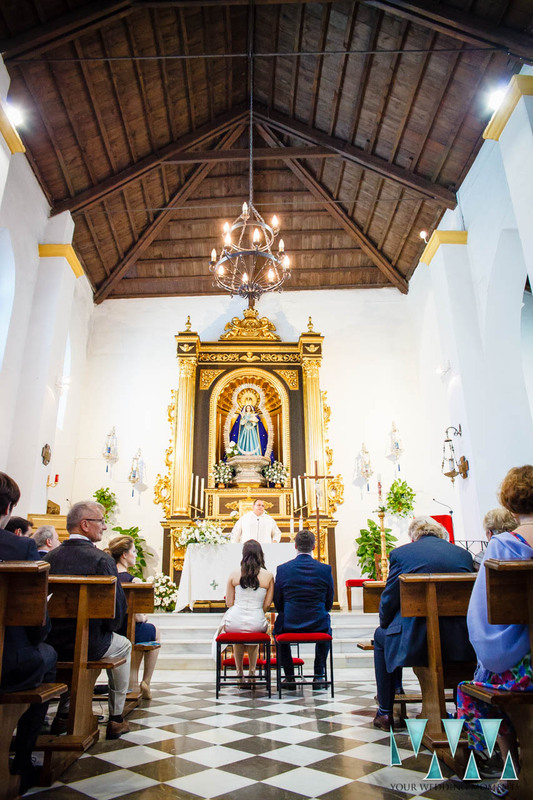 This church is a 17th Century building, with beautiful exterior and interior decor. 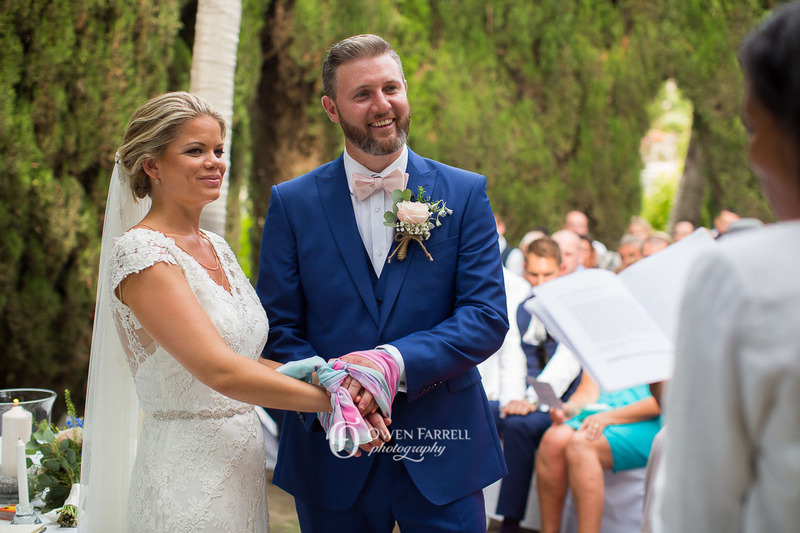 After the beautiful Church Service, Charlene, Gary and their guests went to one of our stunning Venues Hotel Cortijo Bravo for their wedding reception. 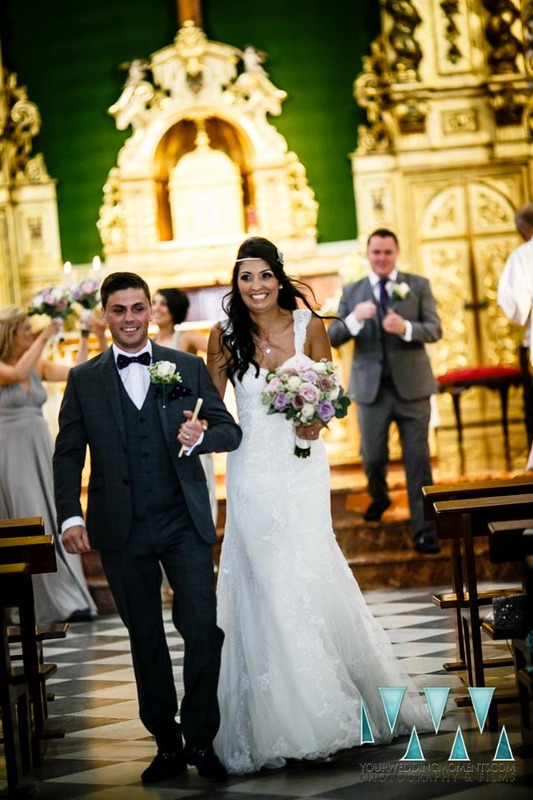 Aine and Stephen shared their beautiful wedding day with their Family and Friends. 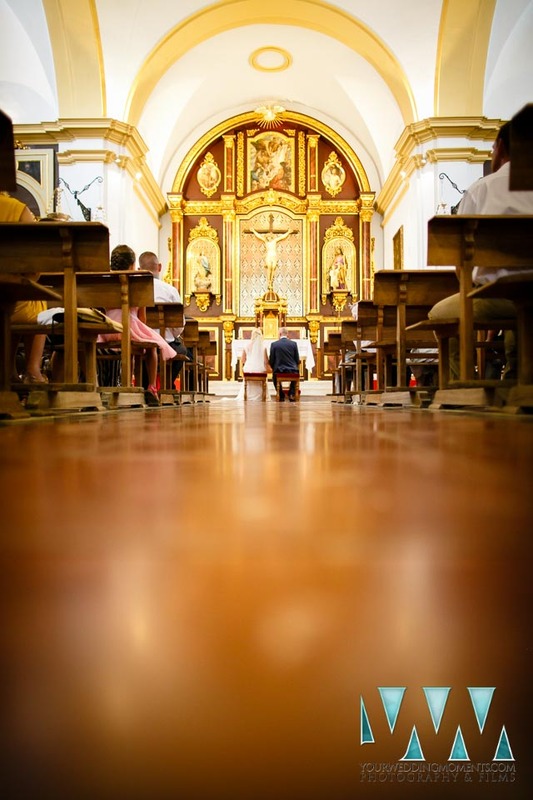 The day started at San Antionio De Padua Church, Frigiliana. 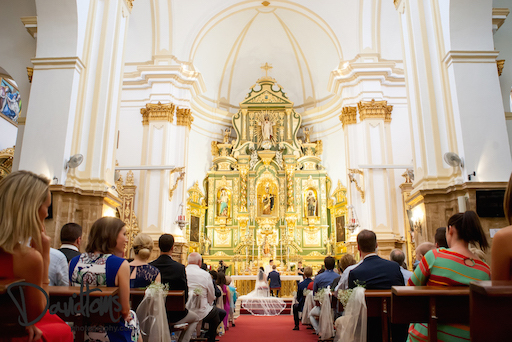 The Church is simple stunning, with beautiful gold decor inside set in a typical Spanish village. The church was built in 1676 and then was refubished a century later. 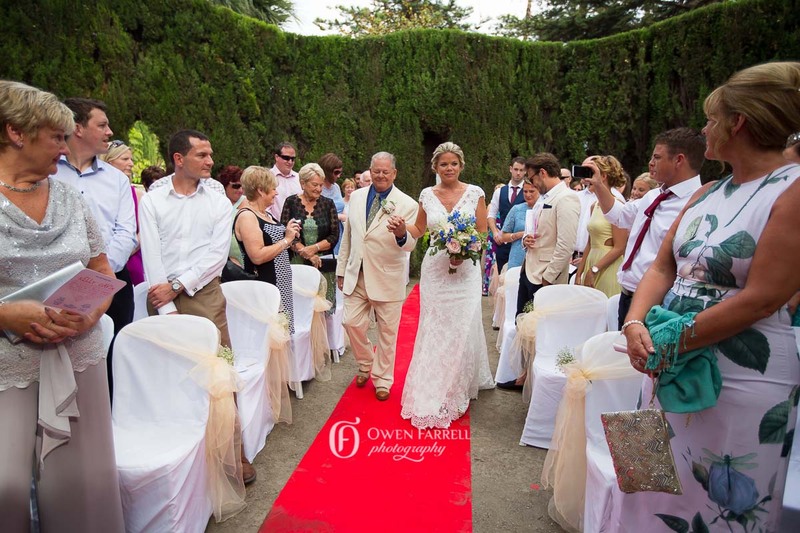 After their lovely service they then went on to one of our stunning venues Hotel Cortijo Bravo to have their wedding reception. 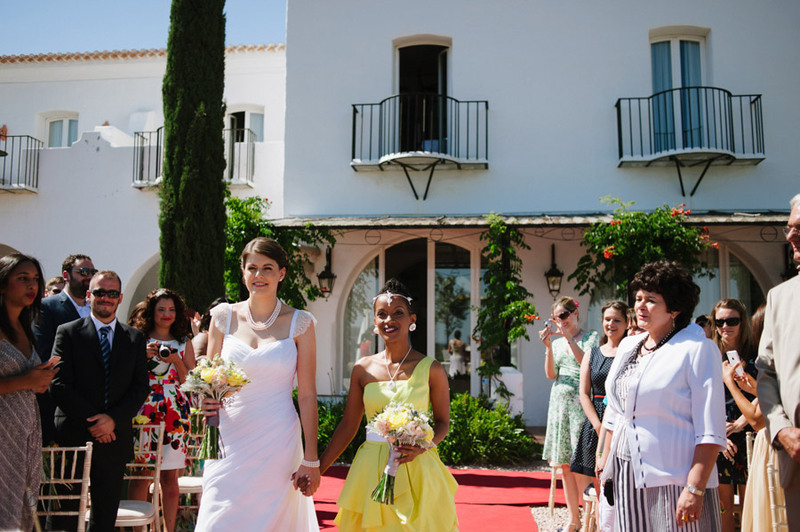 Agnes and Salem celebrated their special day with their family and friends at the beautiful Hotel Cortijo Bravo Venue. 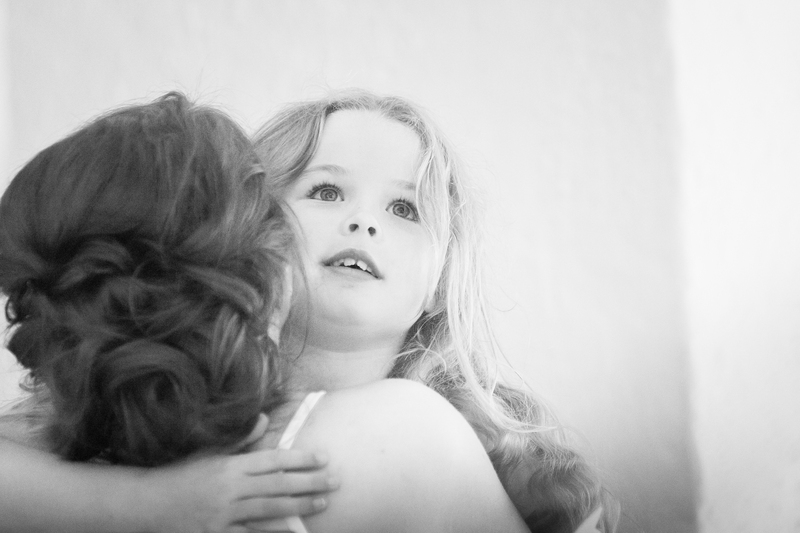 A day filled with love and laughter and plenty of dancing... a day to be remembered by all for many years to come. 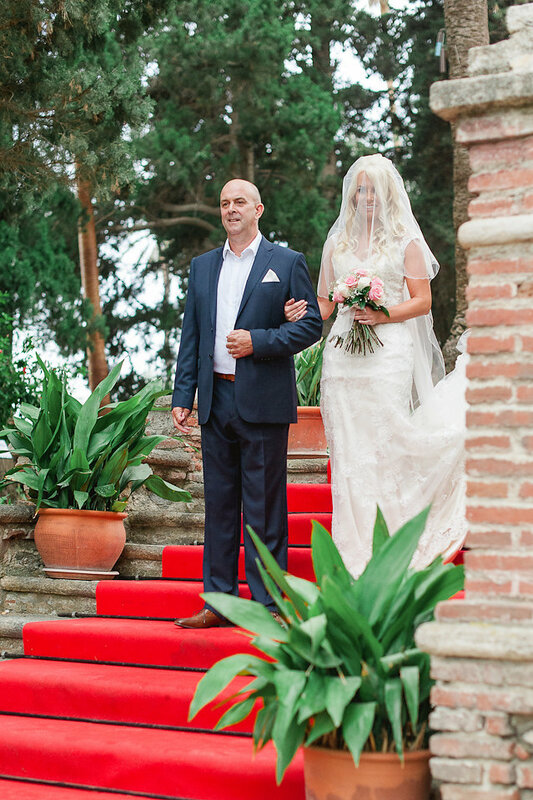 Eva and Jonathan got married at the stunning Castillo De Santa Catalina venue, located in Malaga. 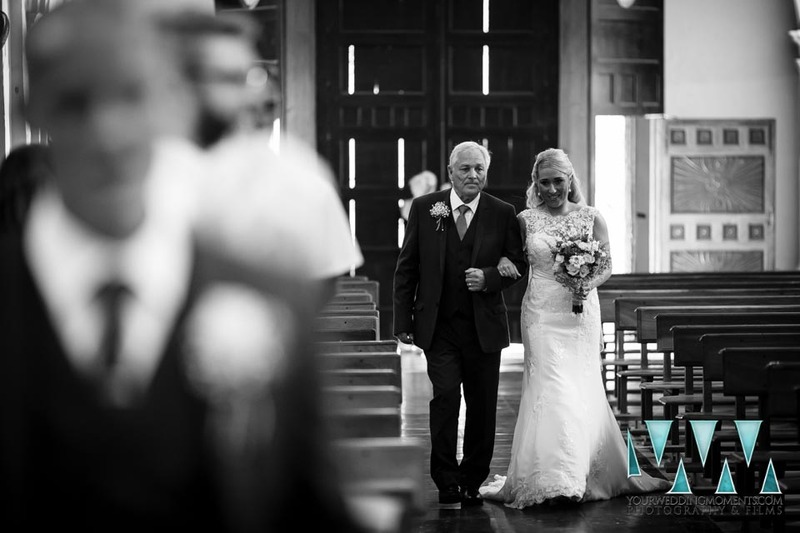 Their day was truly a magical day celebrated with their loved ones. 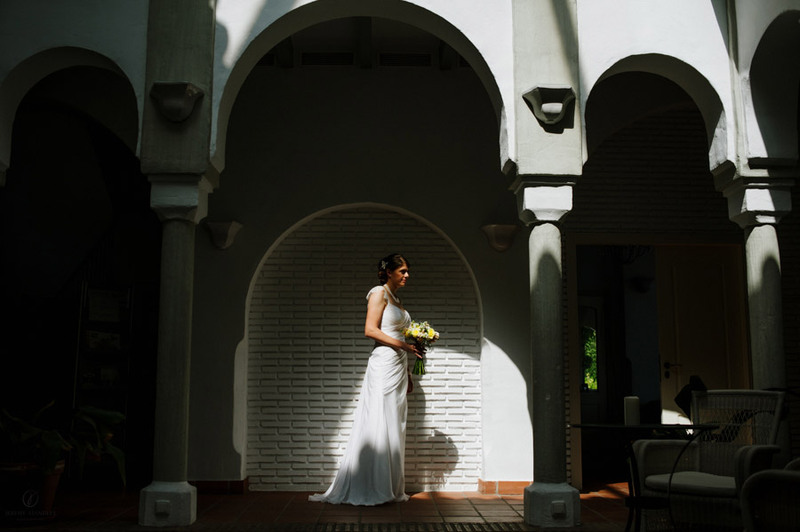 This absolutely beautiful Andalusian style hacienda with a wealth of modern conveniences was the chosen venue for Camilla and Jason for their spring wedding, May 2015. 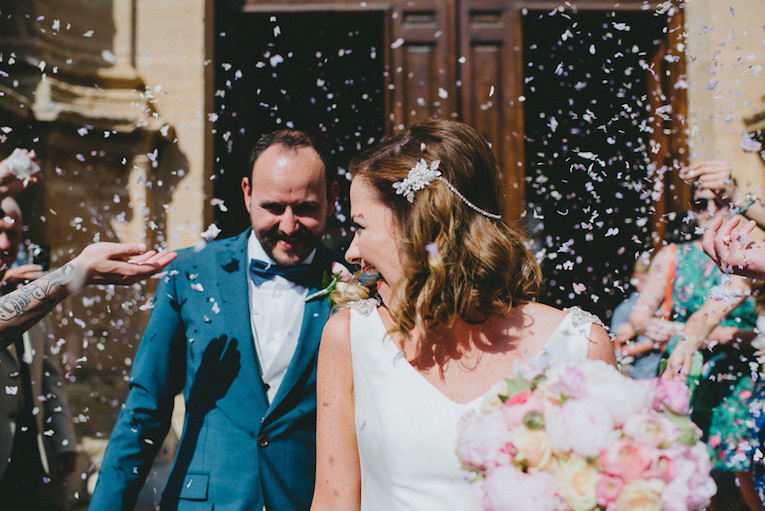 Camilla and Jason chose to celebrate their wedding in true Spanish style, with their guest enjoying a spectacular Andalusia horse display; they also took a horse and carriage ride around the beautiful grounds, followed by traditions such as Jerez Sherry pouring and tasting, Flamenco dancing and live music, the collaborations delighted the senses of all the guests, who had the pleasure of toasting to the future happiness of our lovely couple Camilla and Jason. 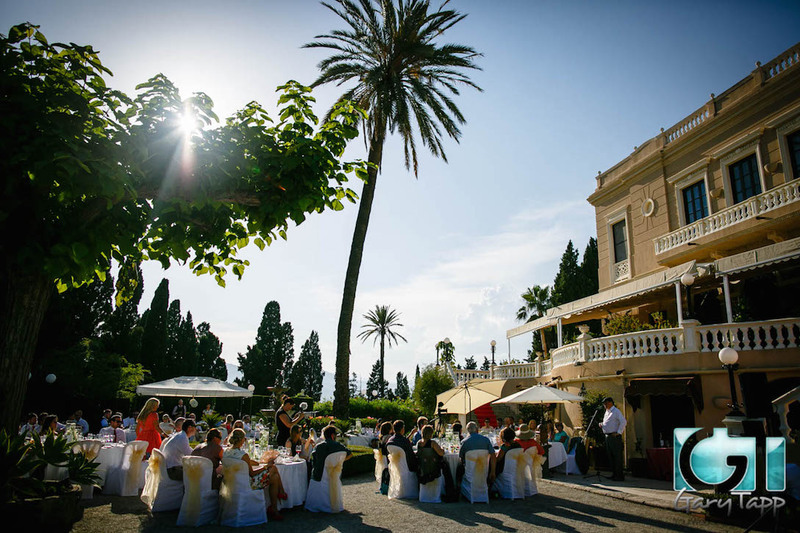 A Nineteenth century Spanish mansion, anchored in the heart of the ‘Costa Tropical’ Granada, is the perfect wedding venue. 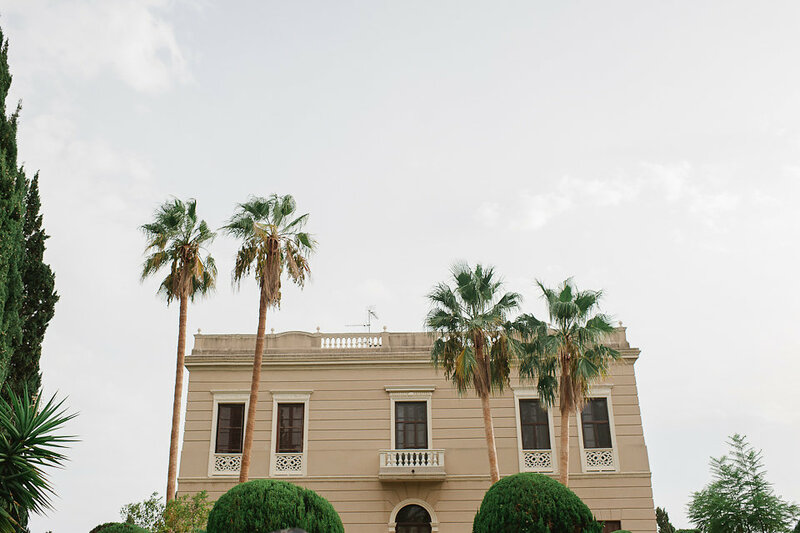 The house is situated on top of a beautiful hill, offering incomparable views of the Mediterranean sea and the far-reaching Sierra Nevada mountains.The terraces and Winter garden offer the chance to enjoy ancient trees, pine, magnolia, cypress, cedar of Lebanon and many different palm trees. Harmoniously mixed with the expected, bougainvillea, jasmine, calandos, gerberas and other wonderful fauna giving both enriched colours and aromas. There are two coral caves and garden fountains, which adds water as another magical element of the peace that surrounds those who take the time to ponder, appreciate and admire. 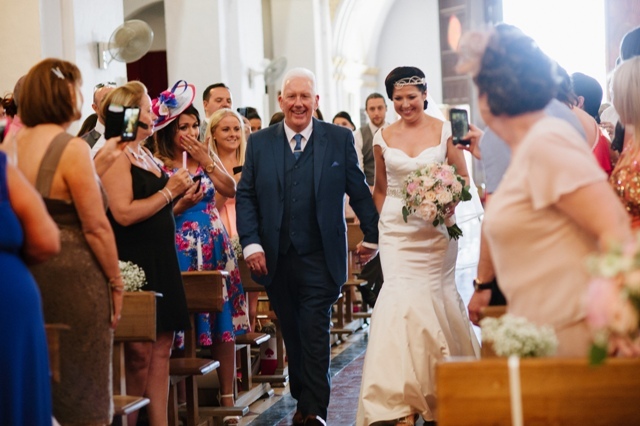 This is a picture story of Nicola and Paul's wedding ceremony, a beautiful and very happy day, which was certainly enjoyed by Nicola, Paul, their family and friends. 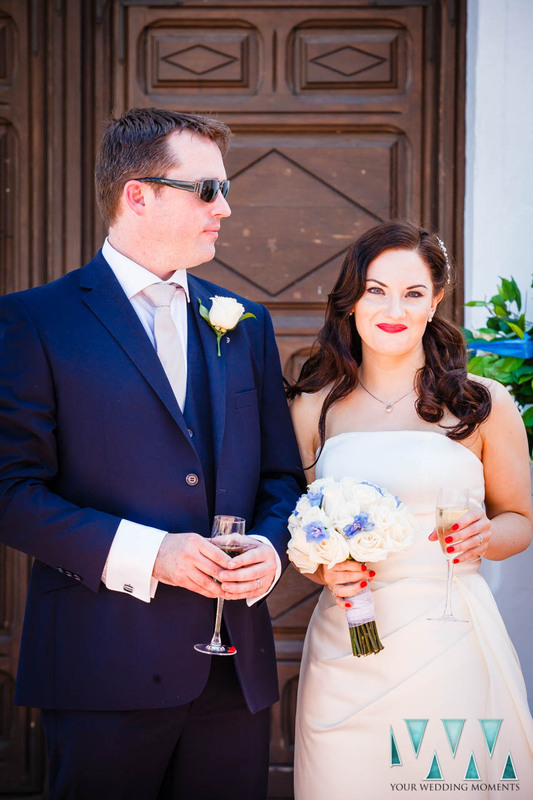 Emma and Richard celebrated their wedding with family and friends at the Beautiful Villa Bermeja in Sotogrande. 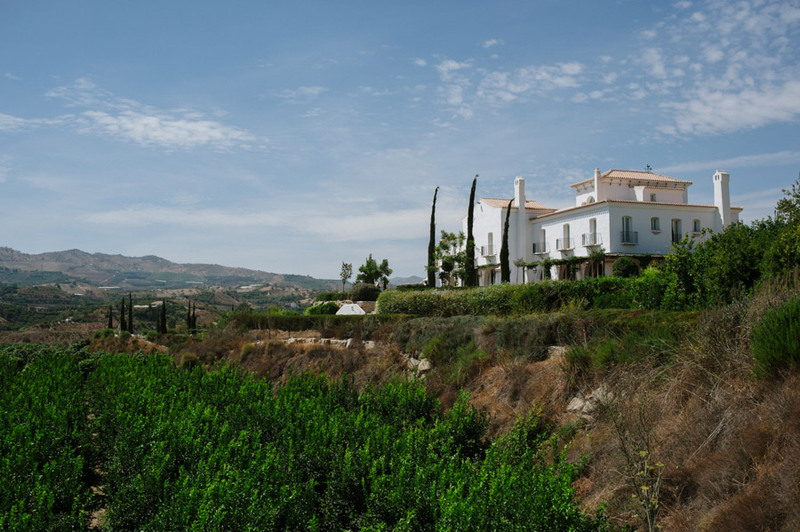 Villa Bermeja is set in the heart of Acedia Valley in Casares, bordering the National Park. 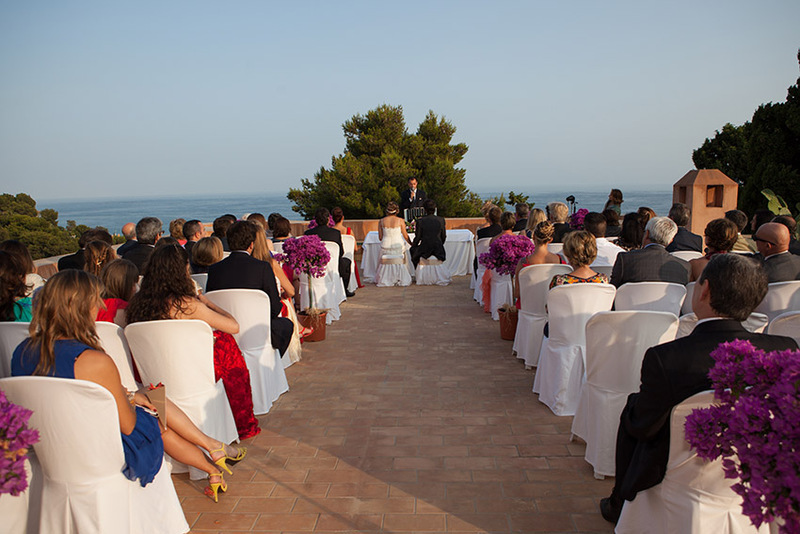 With views to take your breath away this Villa is perfect for weddings. 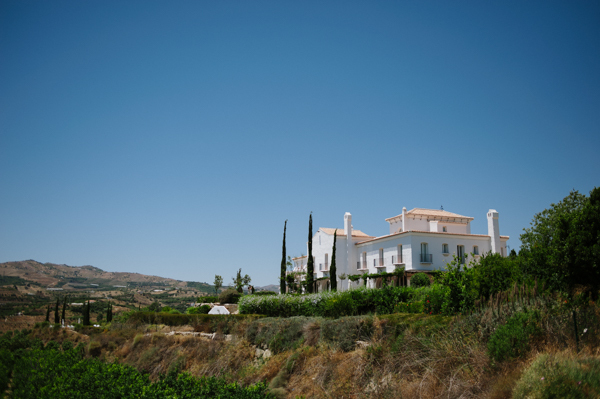 Just a 10 min drive to the famous authentic Andalusian village of Casares and amazing beaches nearby, just 25 mins to Marbella and the airport. 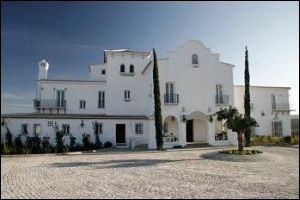 The Villa can sleep up to 22 people as it has a separate guesthouse and apartment attached to the villa. 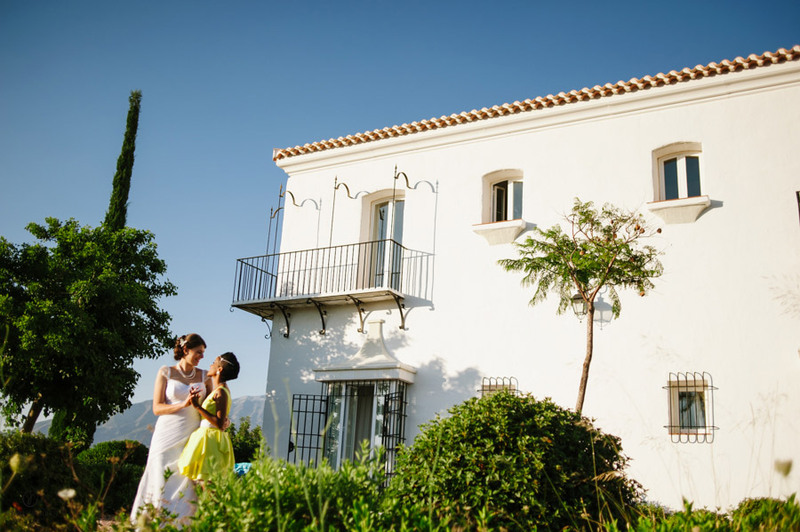 Perfect Spanish Weddings hosted a most beautiful ethnic wedding day in Spain, for Anahita and Ali at the Spanish castle Castillo De Santa Catalina. 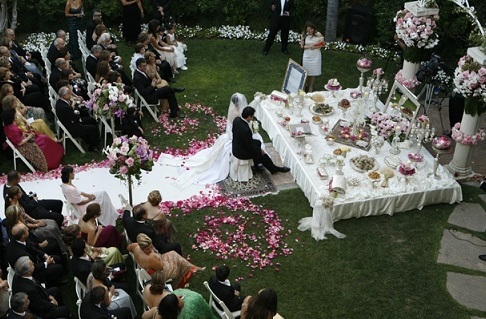 A traditional Ethnic 'Sofreh Aghd' Wedding celebration. 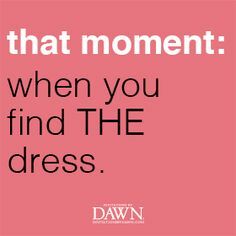 Please take a very privledged tour of the outstanding and elaborate details that were achieved during the ceremony event. 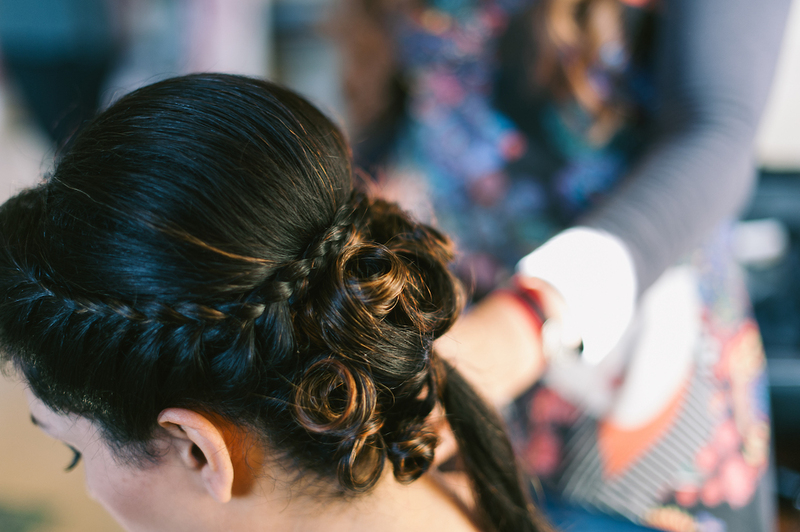 A true fusion of tradition and convention, brought together harmonously by everyone involved. 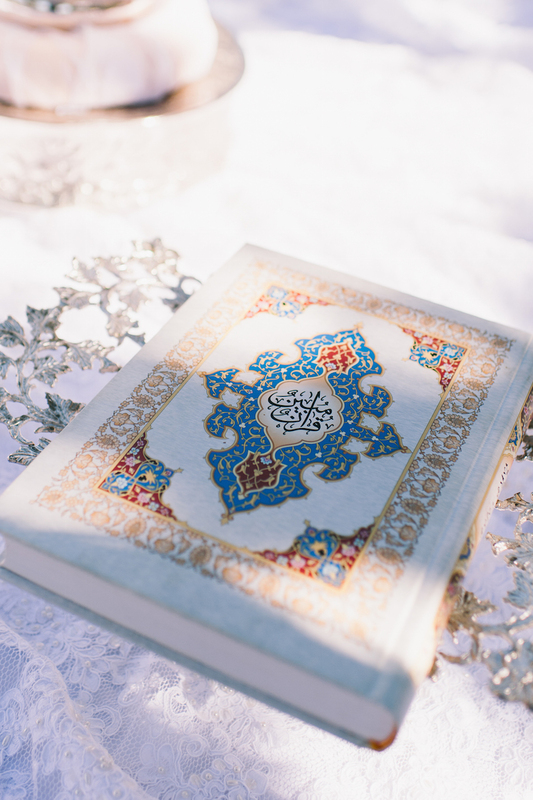 The “Aghd” which is the legal ceremony of the Persian wedding, is a spectacular and joyous event celebrated with family, friends, music and fun. 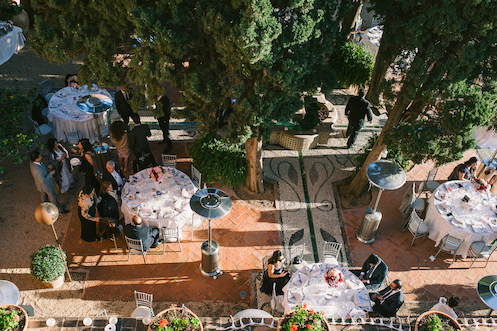 The Aghd usually takes place in the afternoon at the bride’s family home or other venue of choice. 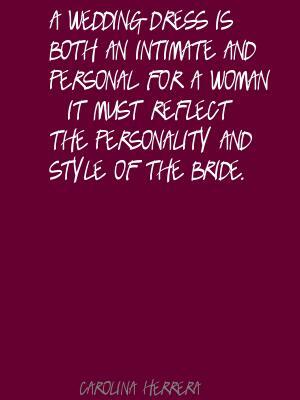 This is the time when the bride and groom sign a wedding contract, legally binding them as husband and wife. 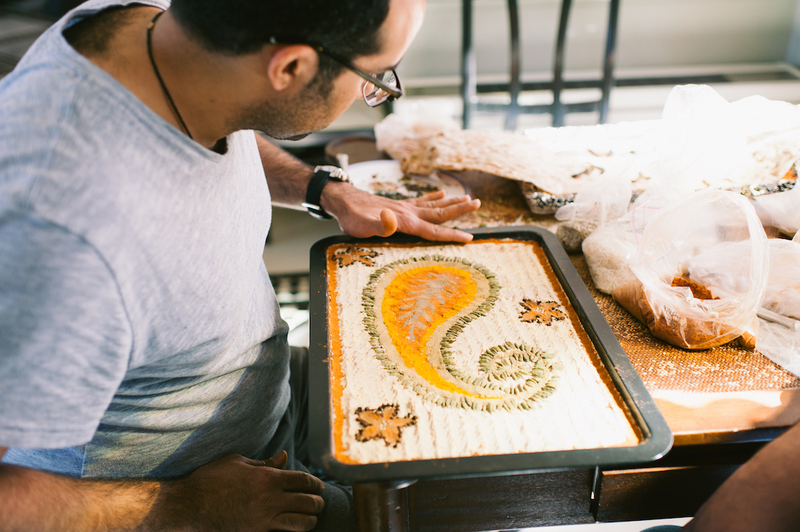 The Blessed Bread, specially baked bread with calligraphy written on it. Persian feta cheese, and greens are also placed on the spread to symbolize the basic food that is needed to sustain life. Symbols of Fertility: Decorated eggs, almonds, walnuts and hazelnuts. The Heavenly Fruits: pomegranates, grapes, apples. Persian Rose: A cup of rose water and a rose extracted from the Gol-e Mohammadi (Mohammadan flower). 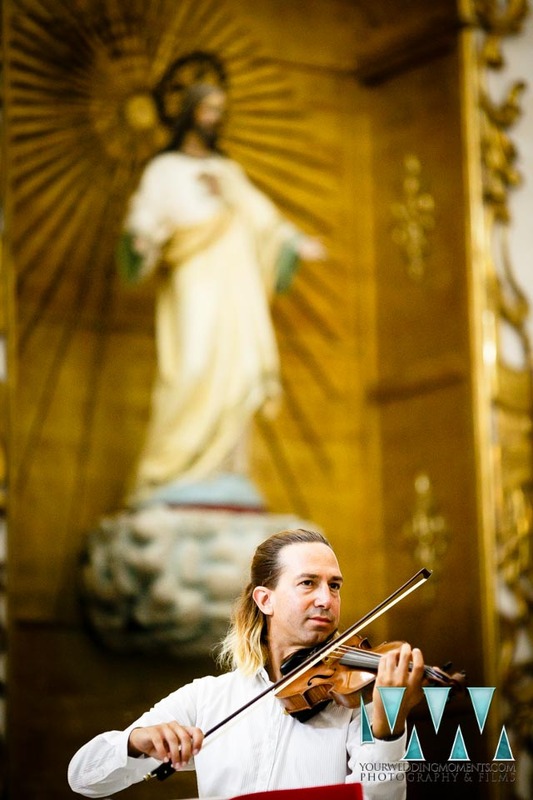 This is to perfume the air. A bowl made out of rock candy, Honey - A cup of honey should be on the spread. 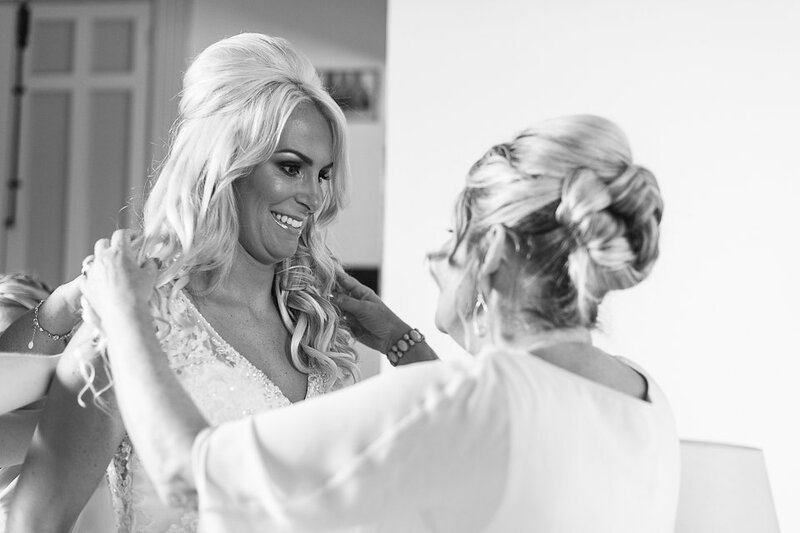 Authentically dedicated to magically creating a stress free wedding package designed around you, with the focus on beautiful, glamorous, sophisticated and affordable. 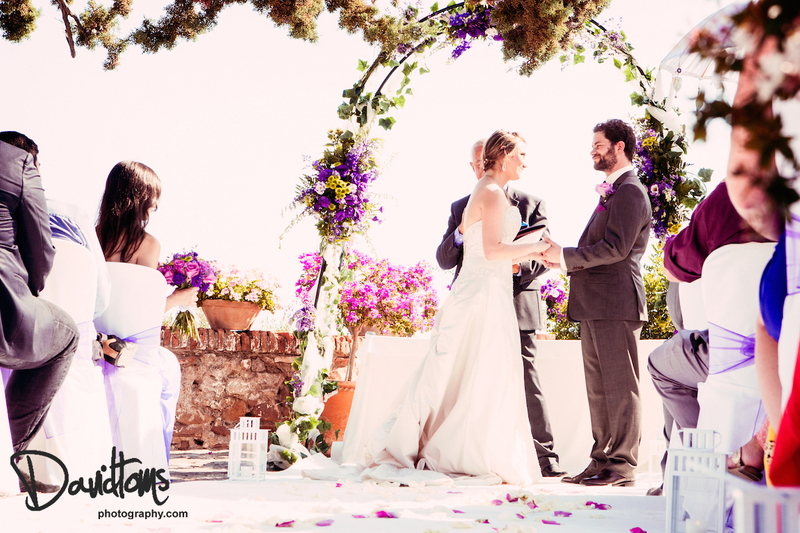 Your Spanish Wedding Planner – has been ‘likened to hiring a new best friend’ – to figure out and discuss every detail of your wedding with, offering professional help and guidance. 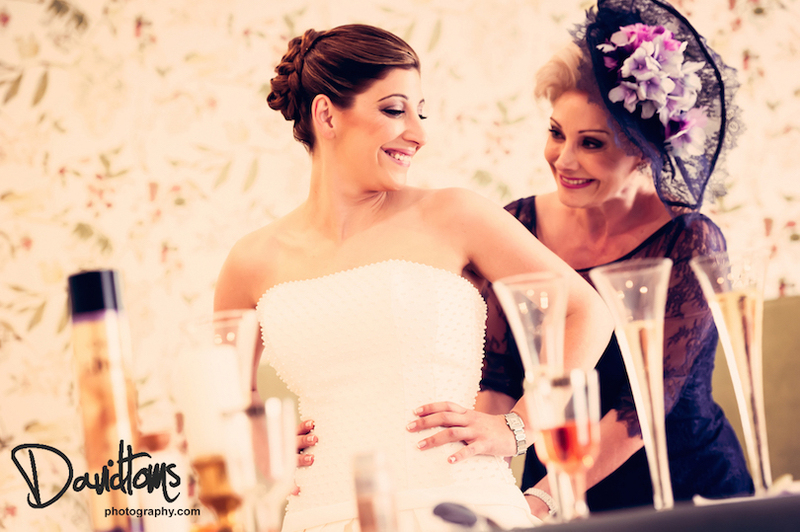 who you will entrust with your wishes and dreams for your very special day. 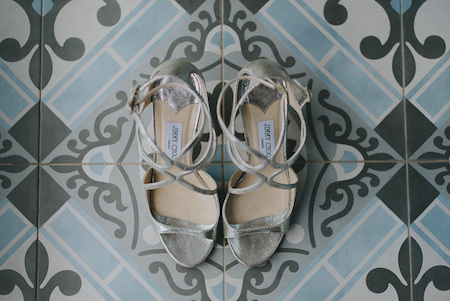 Your Wedding Planner will be at hand to help you have your day, your way. 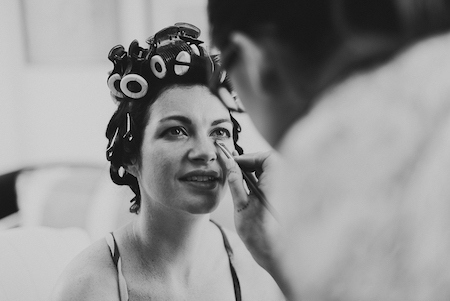 They are there to alleviate the stress and cover all logistics by being exceptionally organised; infusing a sense of calm whilst ensuring your individual plan remains on track. 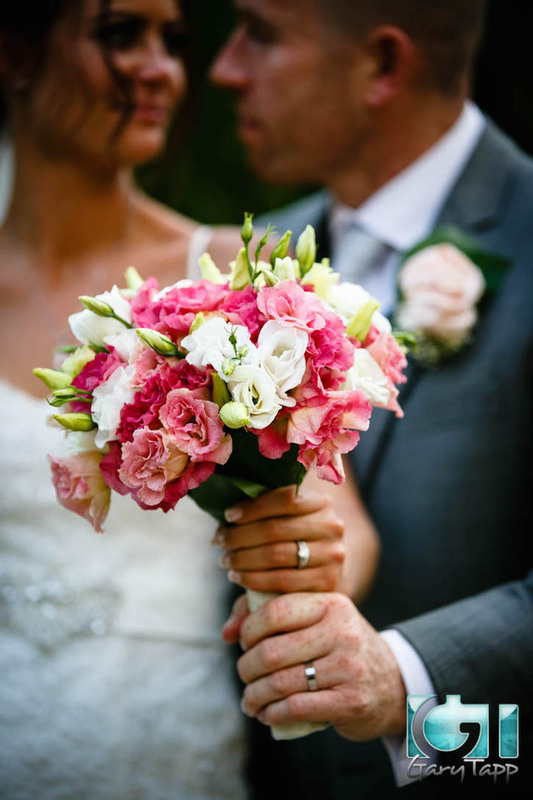 Ideally you would hire your Wedding Planner at the very start of the planning process, this way you utilize their expertise and wealth of knowledge, vendor connections, venue viewings, and complete wedding planning wisdom throughout the entire process. 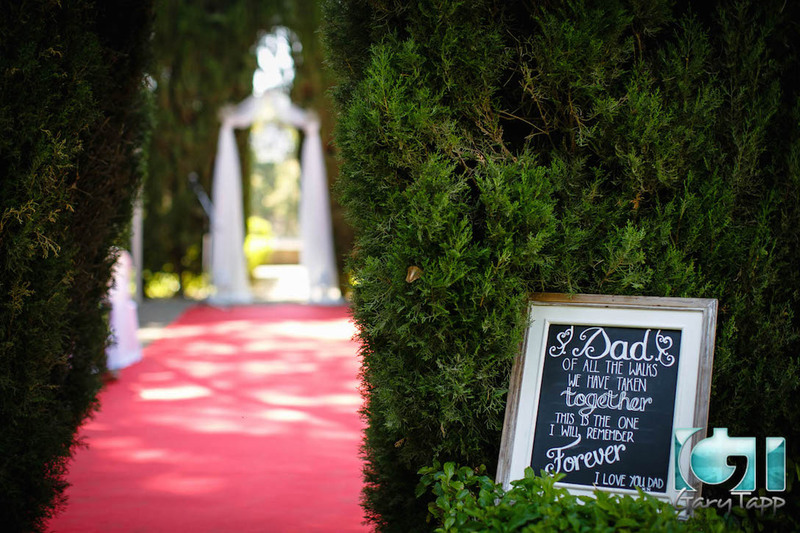 Wedding Planners are a great fit for professional couples who are too busy to handle the 250-plus hours it takes to plan an individual and unique wedding, or simply for couples who don’t count being organized as one of their better skills. 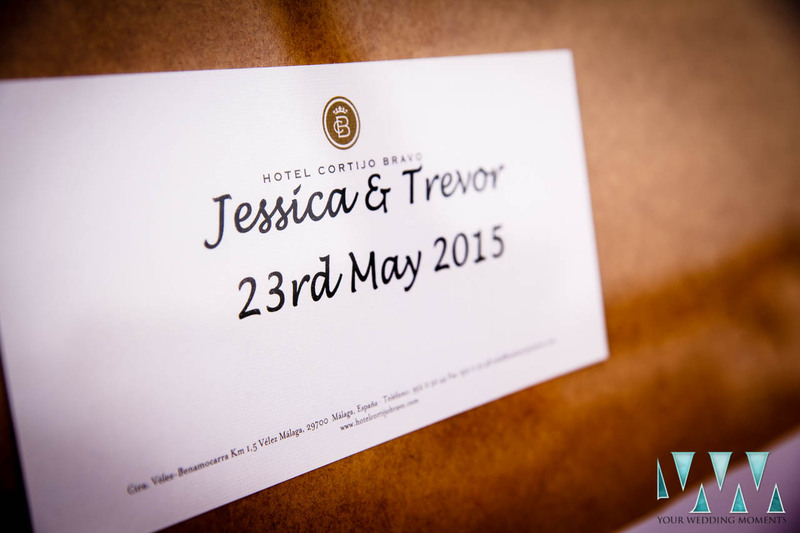 When planning a destination wedding, where documents, paperwork and legalities can be different to ‘home’ a local Wedding Planner, can be an essential guide. 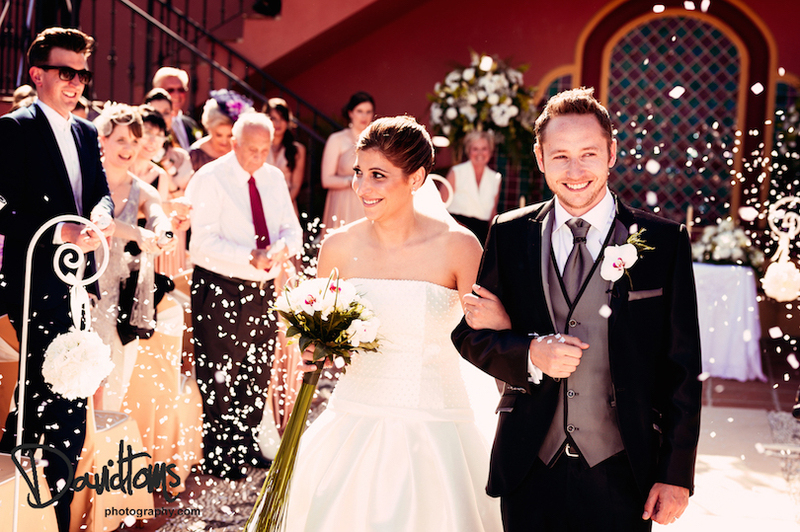 Any country where a wedding is held requires different procedures, depending on the nationality and faith of the marrying couple. Set in a huge country estate surrounded by avocado and mango trees – one of the few parts of Europe warm enough to be able to grow them. Huge banks of lavender, rosemary and agapanthas, and best of all a sea of hibiscus that leads you down to the alluring outdoor pool. 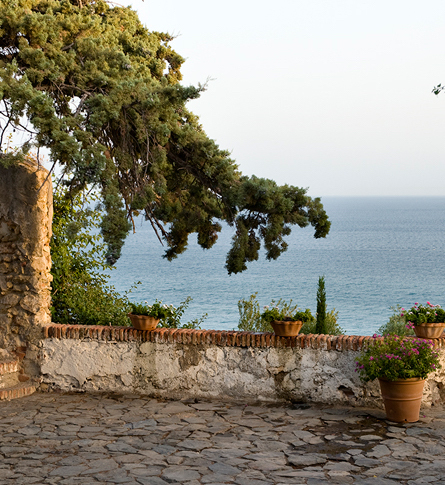 The Cortijo gives off an aura of privilege, it is appropriate then that the owners are the Larios gin family, one of Malaga's grandest, whose land once stretched along the entire eastern Costa del Sol, from Nerja to Malaga. This is a recent project, with no expense spared on the quality of construction. 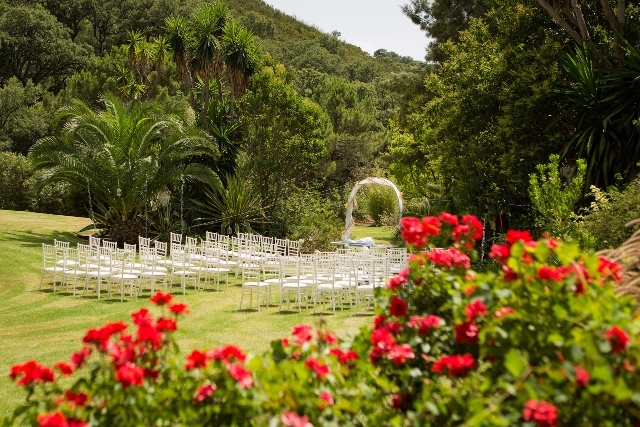 The clever use of light and planting in the surrounding gardens is absolutely wonderful, a most beautiful backdrop for a very special wedding day. 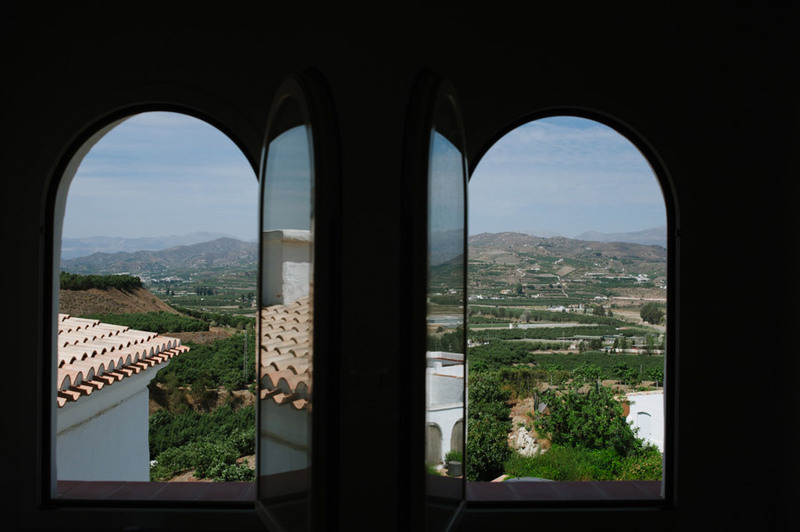 Perched on a small hill above the historic market town of Velez-Malaga (inland between Nerja and Malaga), the Cortijo has spectacular views of both the coast and the marvellously hilly Axarquia region. 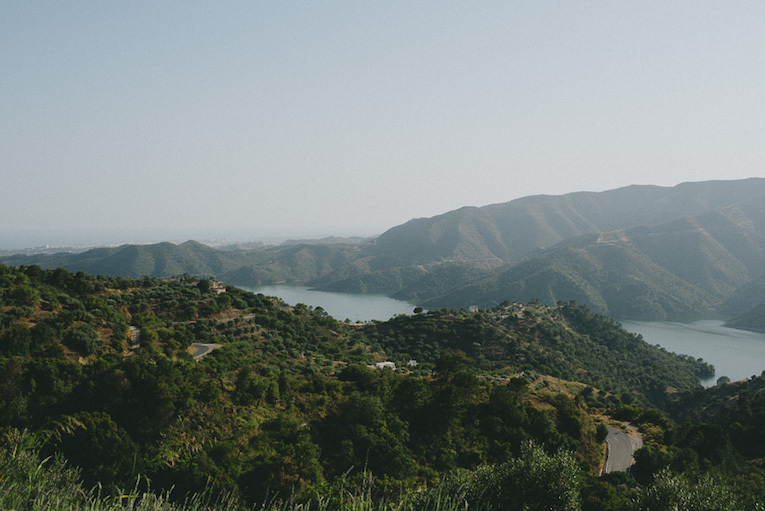 With its folds and difficult geology, it is easy to see why until relatively recently this was a lawless region, known for its bandits and rebels, who fought on after the Spanish Civil war against Franco into the late 1950s. 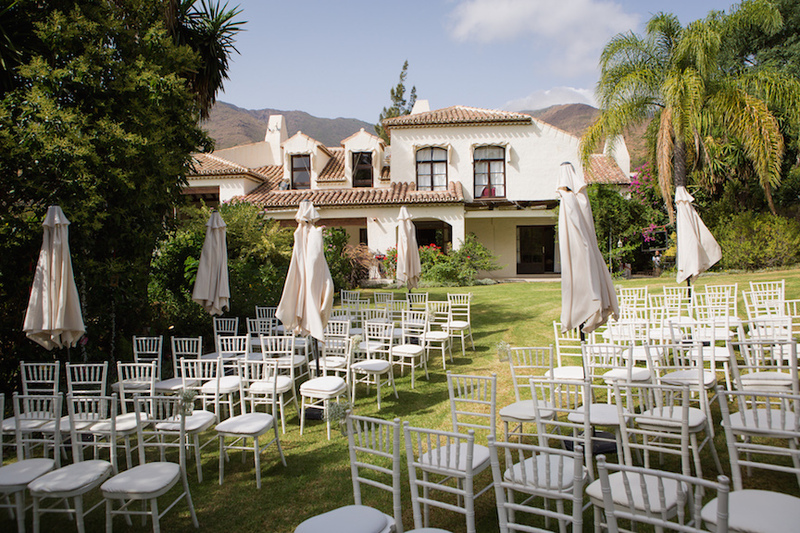 The Cortijo hinges around its stunning central courtyard, an architectural triumph of light and balance. Reminiscent of the days of the Raj, in part due to its ferns and other foliage, it is inspirational and calming. 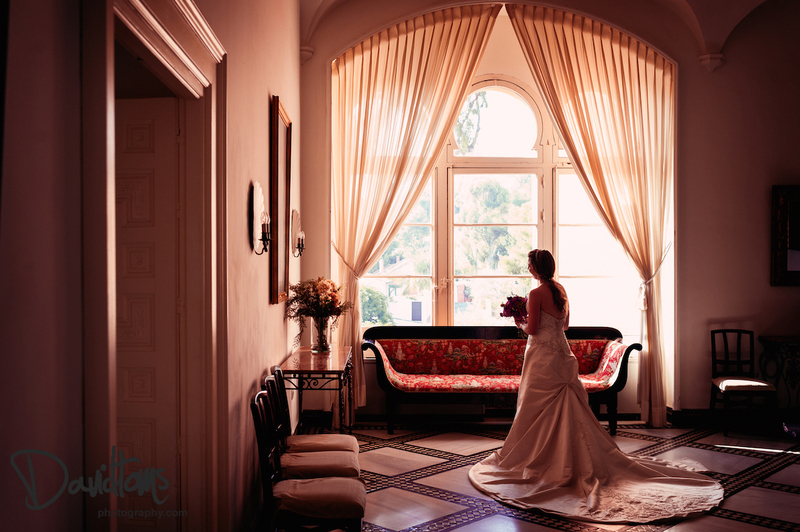 There is seductive up-lighting where many candles add to the romance created and desired for your special wedding day in Spain. 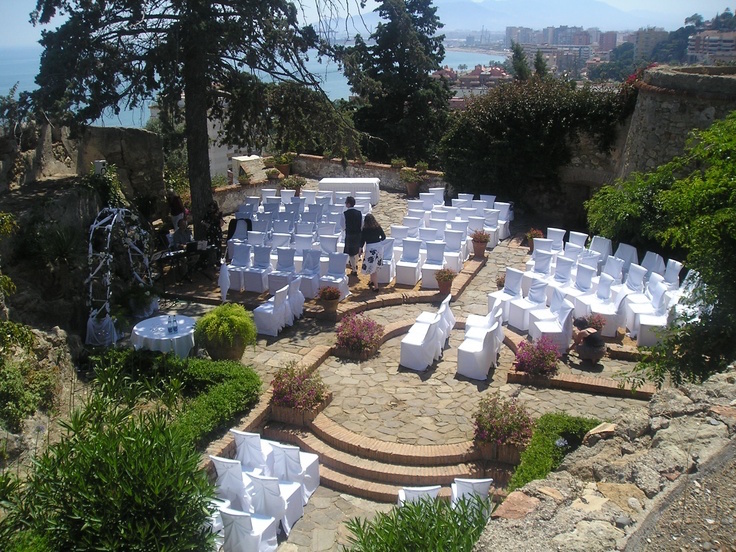 The French architects Levard and Lahalle, constructed a neo-Arabian style palace which stood majestically in a spectacular position overlooking the bay of Malaga and was called Castillo de Santa Catalina. 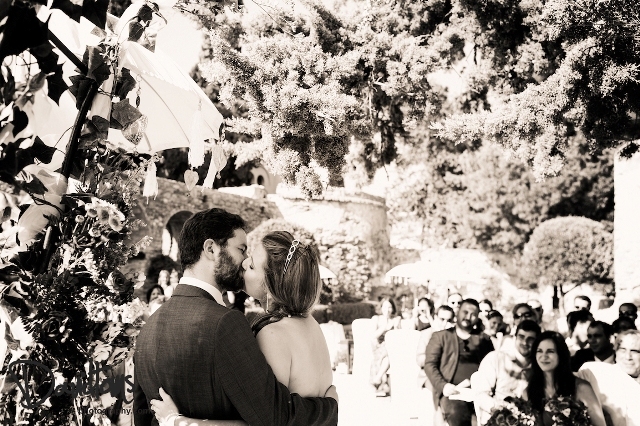 This Spanish castle is now a fabulous wedding venue. 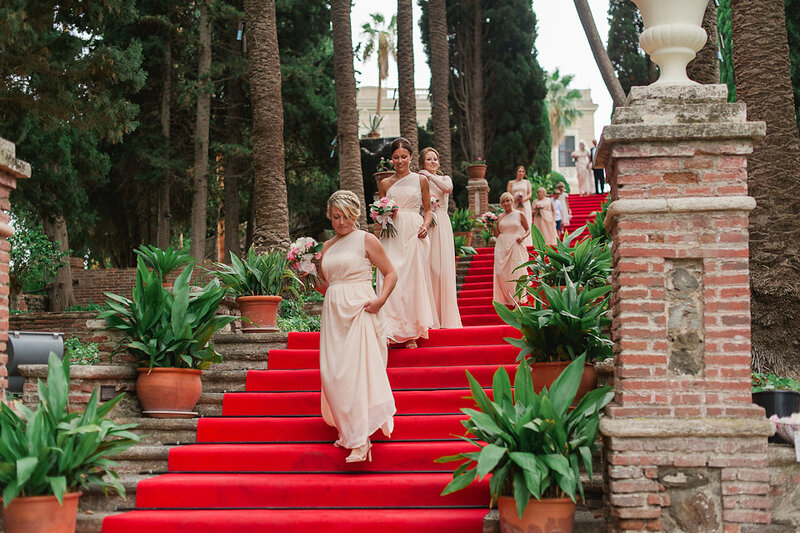 Nowadays, Castillo de Santa Catalina has been converted into a Historic Hotel, maintaining the luxury and standing of a stately palace, surrounded by gardens and with splendid sea views. 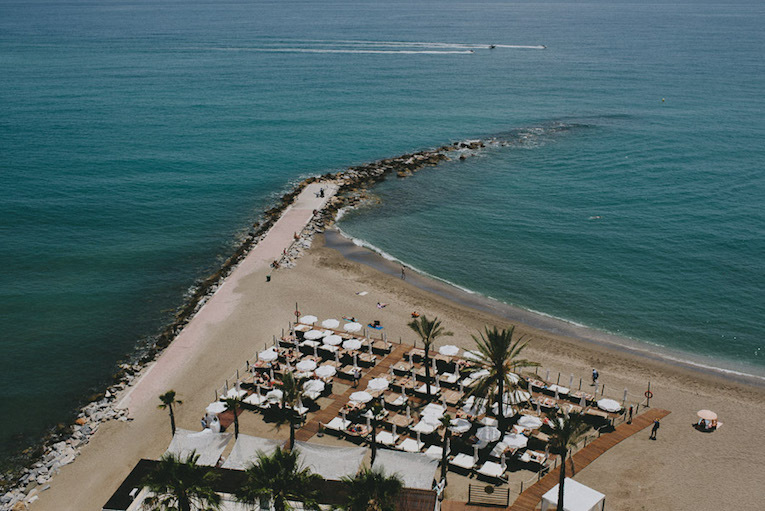 Situated in El Limonar, the most exclusive residential area of the city, the hotel's location is only a few minutes from the city centre of Malaga and the Picasso Museum, the harbour, the sea front drive, La Caleta beach. 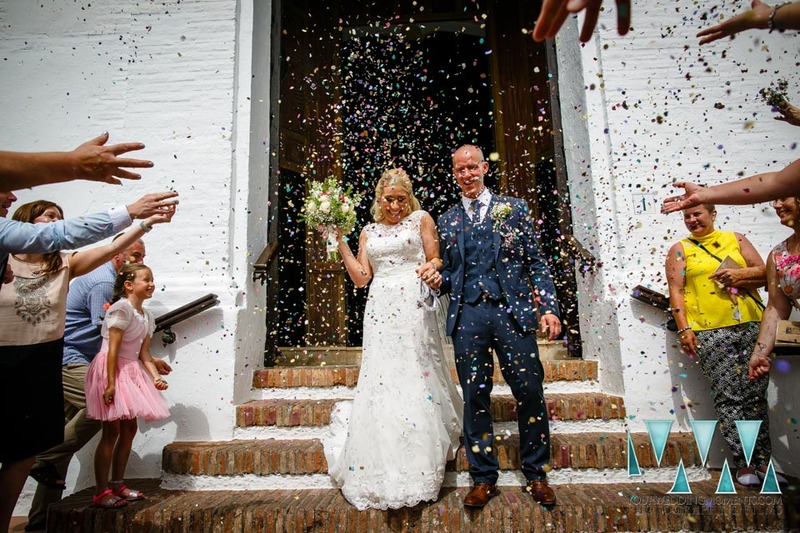 The castle has over 3500 square feet of meeting rooms, gardens and terraces and is absolutely ideal for hosting a most spectacular wedding.